Harrisburg, PA – Governor Tom Wolf is encouraging employers and individuals across the commonwealth to participate in one minute of silence at noon on Friday to call for peace and to honor the 11 victims of the Tree of Life synagogue shooting in Pittsburgh. Pittsburgh Mayor William Peduto will lead the worldwide moment of silence during a public event at noon Friday in Point State Park. Gov. 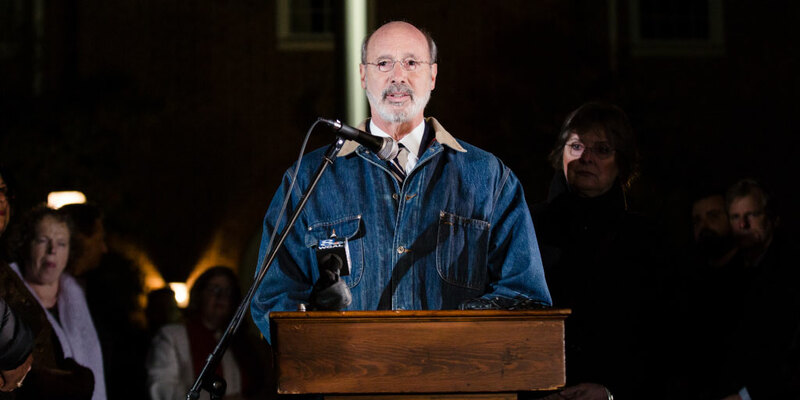 Wolf asks citizens throughout Pennsylvania to cease activities and observe the minute from wherever they may be at noon Friday.